This tool will help you understand your total closing costs and amount needed at settlement. What home price are you considering? This will be used to help determine your mortgage amount. How much of a down payment will you make? Mortgage amount is calculated by subtracting down payment from the target home price. A minimum down payment may be necessary based on the price of the home. Calculating closing costs involves adding up all of the various fees and charges a homebuyer pays when taking ownership of a home, like lender charges and settlement services, as well as pre-paid and escrow amounts. We include every possible fee that you could be charged when closing a home, including title insurance, inspection fees, appraisal fees and transfer taxes. In fact, we replicate an entire Loan Estimate that you would get from a potential lender for your specific area. We track the cost of each fee by city and state to give you the best estimate on closing costs. Pre-paid interest: We assume 15 days of pre-paid interest in our calculation (but you can adjust this). Escrow property taxes: We assume three months of escrow property taxes (but you can also change that). Escrow homeowners insurance: We assume two months of escrow homeowners insurance. Pre-paid homeowners insurance: We assume 12 months of pre-paid homeowners insurance. Closing cost fee data: Using data from local governments and stewart.com we aggregate the component fees for each location in the United States. When it comes to your money, it’s never a good feeling to be caught off guard. No one likes to be surprised by a high utilities bill, or hit with an unexpected late fee. Far better to know what’s coming in advance so that you can plan for it and mentally prepare yourself for the first time you look at your depleted bank account. This is certainly true of buying a home. Before taking on a mortgage and buying a house, most people want to know everything they can about how purchasing a home will impact their finances. There’s one number in the home-buying process that is especially hard to pin down: closing costs. The best guess most financial advisors and websites will give you is that closing costs are typically between 2 and 5% of the home value. True enough, but even on a $150,000 house, that means closing costs could be anywhere between $3,000 and $7,500 – that’s a huge range! While your lender is required to provide a Loan Estimate explaining your closing costs within three days of your submitting a loan application, that often occurs when you have already selected a home and are trying to finalize a deal. Not a great time to learn about thousands of dollars in fees you didn’t see coming. Part of the reason closing costs (also called settlement costs) are so difficult to determine ahead of time is that they aren’t one line item, but rather a collection of different expenses that arise for different reasons. Some depend on the state in which you’re buying your home, others on the county. Some are related to your lender and the type of mortgage you’re getting, and some have to do with the real estate professionals who are helping you get your deal done. In all, closing costs are a messy amalgam of variable fees. A closing costs calculator like ours lets you see closing costs based on the specifics of your financial situation. Below, we’ll take you through each one line by line, so you can understand what you’ll be paying for. The government has come up with rules that lenders must follow when it comes time to reveal estimated closing costs to people who are shopping for a mortgage. The government-mandated closing costs form is called a Loan Estimate (formerly known as a Good Faith Estimate). When you look at a Loan Estimate, you’ll see a break-down of closing costs. Some of these will be listed as Loan Costs. This means that they’re directly related to the cost of providing you with a home loan. Of these costs, some carry a fixed price and some are services you can shop for if you want to try to get a better deal. 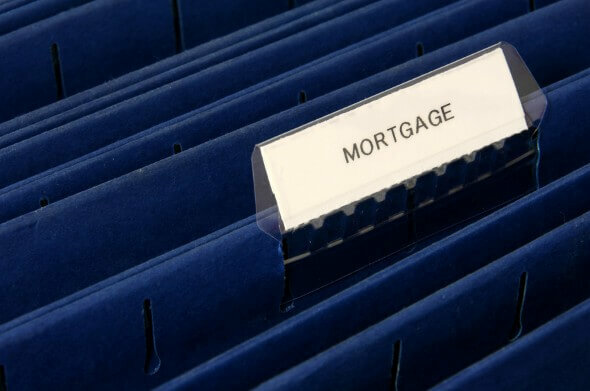 There are two categories of charges you pay your lender to secure your mortgage. These fees are very common, although not all lenders charge them to all borrowers. In some cases, your lender will omit these fees to sweeten the deal, especially if you have really good credit. These fees should be incorporated into the APR stipulated for your loan, which means your lender is required to disclose them in advance. Origination charge This is the standard fee lenders charge for the service of getting you a loan. Typically, this money is used to pay the broker or loan officer who got you the loan. It’s the originator’s commission on the deal. Origination charges are typically higher for borrowers with lower credit, but 1% of the loan amount is not unusual. Points. Points are a charge that you pay in exchange for a lower interest rate. Basically, they give you the option to pay more up front so that you pay less in interest over the life of your loan. Typically, one point costs 1% of the loan amount. There’s a lot of administrative and legal work needed to finalize a home sale. The bank needs to make sure the loan it is making is backed by a valuable asset; the government needs to make a record of the deal, and collect whatever fees and taxes are allowed by law; and someone needs to deal with all of the paperwork involved. All that work can add up to a significant amount of money. Appraisal fee. Before the deal is finalized, your bank will likely want to hire someone to confirm the value of the house. Appraisers look at the size of the property, the features, the condition the house is in and the price of comparable properties recently sold in the area. Appraisers typically charge around $300 to $500 for their services. Credit report fee. This is the cost to the bank of purchasing your credit report from one of the credit reporting agencies. Not all banks pass this fee along, but don’t be surprised if they do. It should be no more than $30. Flood certification. If your house is situated on or near a flood plain, your bank may want documentation confirming its status. This involves paying for a certification from the Federal Emergency Management Agency (FEMA), and should be around $15 to $20. If you want to lower your closing costs and you don’t mind taking the time to shop around, the following are services you are allowed to shop around for in search of a better deal. 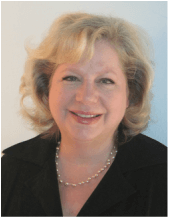 Title services and lender’s title insurance. 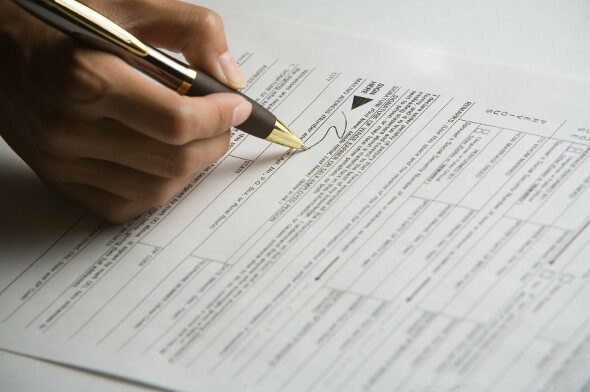 The property’s title is perhaps the most important document in the entire home-buying process. This is the piece of paper that spells out who actually owns the house, and if it’s found to be invalid or fraudulent there can be big trouble. Title service companies research the title to ensure that it’s legitimate. Lenders also require the borrower to buy an insurance policy to cover the lender in case the title is later found to be defective. The cost of title services and lender’s title insurance varies significantly from state to state. Home inspection. Your lender may require an inspection of the home’s interior to check for damage, pests and other issues. Unlike an appraiser, a home inspector does not consider price and does not look at comparable properties. Instead, an inspector looks for any issues that may need to be repaired, or that may affect the home’s safety. A home inspector may get down and dirty, crawling into attics and poking around in the darkest corners of the house. A home inspection can cost anywhere from $100 to $500. Postage or courier. A lot of paperwork is involved in the sale of a home, and in some cases, your lender may hire a courier to transport the documents quickly and securely. If so, you may pay up to $60 for that service. Survey. This is an evaluation of your property to determine its boundaries as well as the location of fences, walls, gas lines and so on. This is required in some but not all states, and generally costs between $100 and $400. Attorney, closing and settlement fees. Your lender may hire an attorney to look over the paperwork and make sure all the contracts pass legal muster. The homebuyer gets to pay for that service, which usually costs between $500 and $700. Miscellaneous required services. The full list of services you get from a lender can vary. The Loan Estimate includes a line for extra charges that might appear. A + B + C = D, your total loan costs. This is only one component of your total closing costs, however. Read on for the rest. Government recording fee. This is a fee charged by the local government (usually the county) for making a public record of the sale. The fee varies depending on location, but will probably be less than $200. Transfer tax (or transfer charge). The transfer tax is an amount charged by some state and local governments on all home sale deals. These vary widely by location and in some places are not applied at all. One cost to the closing process comes from the amount you have to pay in advance for items you will be paying regularly as a homeowner. Our closing costs calculator accounts for those as well. Some of these pre-payments are placed into an escrow account (a special holding account from which funds can only be accessed in certain circumstances) so that there is a reserve in case the deal falls through or you, for whatever reason, can’t make a payment at some point in the future. Other required pre-payments are made in advance to cover your first few weeks, months, or year in the house. Prepaid homeowners insurance. Homeowners insurance protects your house (and in some cases your belongings) against damage caused by bad weather, fire, theft and other unfortunate events (though it typically does not cover flooding or earthquakes). Most lenders require you to buy insurance on your home, and these policies are prepaid for periods of several months to one year. It is typical to pay the first 12 months of insurance up front at closing. The cost ranges depending on the coverage you need and where you live, but premiums can be as much as several thousand dollars a year, or just a few hundred. Up-front mortgage insurance premium. Depending on the size of your down payment, your lender may require you to pay for mortgage insurance. This can come with an up-front prepayment that you will owe at closing. Prepaid daily interest. If you are closing on your home in the middle of the month, you may need to pay interest covering the days until your first full month in the home begins. Escrow homeowners insurance. Lenders may also require you to place some amount in an escrow account to cover homeowners insurance in case you fail to make a payment further down the line. This ensures that the home will be covered for some number of months even if you run into financial trouble. This, along with the property tax escrow described below, are most common when your down payment is less than 20%. Your Loan Estimate should show you the amount you’ll be required to put in escrow to cover two months of homeowners insurance. Owner's title insurance. An optional insurance policy that covers you, the homeowner, in the event that there are issues with the title. For example, if a prior owner of your home was foreclosed on and later wins a legal challenge against that foreclosure, your claim on the home may be found to be invalid. In that case, a homeowner’s title insurance policy would protect you from financial loss. Rates on these policies vary widely, but can cost over 0.5% of the loan balance. E + F + G + H = I. This is the total of all the non-loan costs. D + I = J. This is the total of all your closing costs. It represents the sum of all your loan costs and all your non-loan costs. This is roughly the amount you should budget for, since it represents the lender’s estimate of what you will owe at closing time. We’ve gone through some of the most common fees that make up your total closing costs. You can generally expect the total to be between 1 and 5% of the price you are paying to buy your home. Payment for closing costs can sometimes be financed with your loan, in which case it will be subject to interest charges. Alternatively, you can pay your closing costs in cash, similar to your down payment. SmartAsset’s interactive closing costs map highlights the places across the country with the lowest closing costs. Zoom between states and the national map to see the top counties in each region, and scroll over any county for more information. Methodology Buying a home usually requires cash – for both the down payment and closing costs. But where you are buying can have a big impact on how much you will pay in closing costs. Our study shows closing costs as a percentage of median home value by county. To calculate closing costs we assumed a 30-year fixed-rate mortgage on each county’s median home value and a 20% down payment. We considered all applicable closing costs, including the mortgage tax, transfer tax and both fixed and variable fees. Once we calculated the typical closing costs in each county we divided that figure by the county’s median home value.